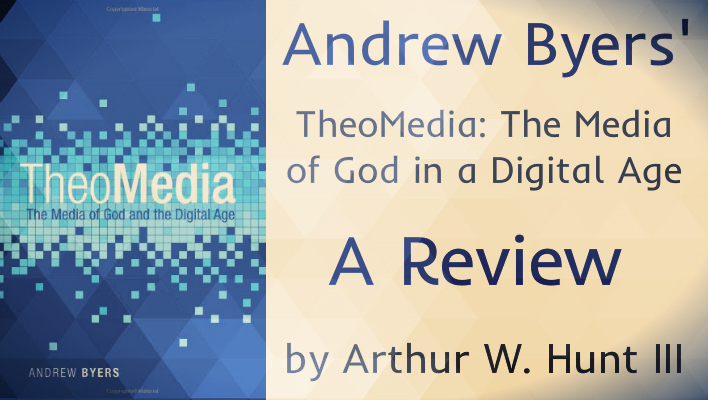 Andrew Byers, TheoMedia: The Media of God in a Digital Age, Eugene, OR: Cascade, 2013, 252 pages, $25.20. Andrew Byers serves as the Chaplain at St. Mary’s College, Durham University, England. As a Theological Consultant for Codec Institute at St. John’s College, Durham University, he has explored many of the issues addressed in TheoMedia: The Media of God and the Digital Age (Cascade Books, 2013). TheoMedia constructs a theological framework for understanding and using media in the digital age. In doing so, Byers navigates through both and Old and New Testaments to show the reader how the God of the Bible is a “multimedia” Divine. Byers would have us think “hermeneutically” about adopting both old and new media forms. The fundamental calling as human beings is the media vocation of divine image bearing. Media are messy due to our sinful nature; therefore, image bearing implies that what we create can either be helpful (bright) or harmful (dark). The Multimedia God of the Bible sometimes reveals Himself through unexpected means (e.g. the plagues of Egypt). Verbal TheoMedia (spoken and written communication), while primary, do not diminish other forms of communication found in human sensory perception. In the ecclesiological long run, we will end up with equilibrium of the senses. God reserves the right to break through our media-saturated life with his Divine Revelation. God’s various ways of communicating are Trinitarian. The Church is the primary media domain of God, therefore, as his people we should be judicious in our use of media. After reading a dozen or more sentences like these you wonder if God is a television set and maybe the Apostles were tweeting each other. Another weakness is that at times Byers contradicts himself, as when he passes off lectures and sermons. “[W]hen some authoritative figure speaks a whole lot of words with little room for interruption,” he says, it is “just downright boring at best.” Upon reading this one thinks he is adverse to print-oriented-bastards like Postman (McLuhan’s term), but then he turns around and gives precedence to the preached and the written word. Byers might also have addressed the Iconoclastic Controversy in his discussion of sensory balance, but very little is given in this area. Johannes Eck’s On Not Removing Images of Christ and the Saints or Luther’s discourses on images in the church would have proved relevant to his topic. Despite these flaws, Byers manages to strike a good balance between old and new media forms. 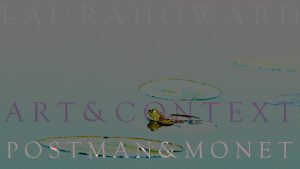 He wants to preserve modes of communication found in the Church throughout the centuries as expressed in Word and sacrament. He also heralds the importance of embodied presence and face-to-face relationships. These kinds of stances make him a cultural conservative with regard to new media used in the sanctuary. Byers runs his ideas through the biblical rubric of Creation, Fall, and Redemption to a good effect. His descriptions of Old Testament biblical events are often compelling, especially his sections on idolatry and the Exile. His segments on the downsides of blogging, the limits of online relationships, and social media ethics are also well written and worldly-wise.